Knowledge is knowing that Frankenstein is the scientist. Wisdom is knowing that Frankenstein is the monster. I love this joke. Not just because it makes me chuckle every time I see it; not just because — as a bit of a literary snob — I feel a familiar rush of vague and misplaced superiority at getting the joke at first glance; but because it encapsulates much of what I, as an academic, find fascinating about Frankenstein. Everything you know about Frankenstein is wrong, and also, simultaneously, exactly correct. When you hear the word “Frankenstein,” what comes to mind? For most of us, it’s the same image: either Boris Karloff of some cartoonish version of him, with the green skin and the stitches or staples across his flat-topped head, usually grunting inarticulately and lumbering forward with his arms outstretched. A quick Google image search confirms this, turning up any number of still images from the 1931 James Whale film, or any of the many, many sequels that followed it, occasionally interrupted by a Halloween costume attempting to recreate the look, or a re-colored image set to make the subject of the black-and-white film green. It doesn’t matter, all things considered, that none of these things are true in the novel. 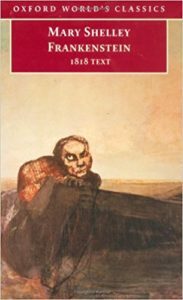 Shelley’s monster does not have green skin; he does not have an abnormal brain; he has no fear of fire; he is, surprisingly, incredibly articulate and well-read, brought up on a steady diet of Paradise Lost, Plutarch, and Goethe. And yet, thanks to various interpretations of the character over the years, these things are as essential a part of his character as anything from Shelley’s text. They are the cultural signifiers that make up “Frankenstein” and everything he means, all of the representational baggage with which he has been loaded for the past two centuries. January 2018 marks the 200th anniversary of the publication of the first edition of Mary Shelley’s Frankenstein, or: The Modern Prometheus, published anonymously with an introduction by Shelley’s husband, the Romantic poet Percy Shelley, and credited with being the first science fiction story. The story of Frankenstein’s creation is almost as well-known as the lightning strike and laboratory table of the monster’s creation: written by an 18 year-old girl as a part of a ghost story competition among some of the most famous Romantic poets. 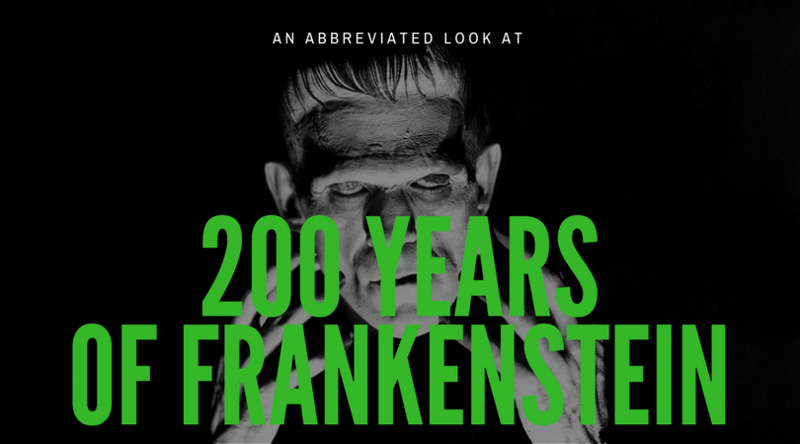 As early as 1823, only five years after the novel’s first publication, Frankenstein had taken on a life of its own, the beginning of a long string of interpretations and re-interpretations, good and bad, that have gone on almost continuously for the better part of the past two hundred years. Frankenstein the text and “Frankenstein” — for lack of a better term, the monster — are, in the words of literary critic Marilyn Butler, “famously reinterpretable.” Through its long and storied history both in and out of public favor, Shelley’s novel has grown beyond its own scope to suit any number of rhetorical moves, political arguments, and cinematic tropes. To name a few, off the top of my head: it is a story about feminism and childbearing; it is a story about the proletariat rising against capitalism; it is a story about Jungian shadow-selves; it is about scientific ethics and responsibility; it is about Lord Byron, an implicit and harsh critique of the Promethean ideal; it is about repressed homosexuality; it is about the transsexual body; it is about literary criticism itself. 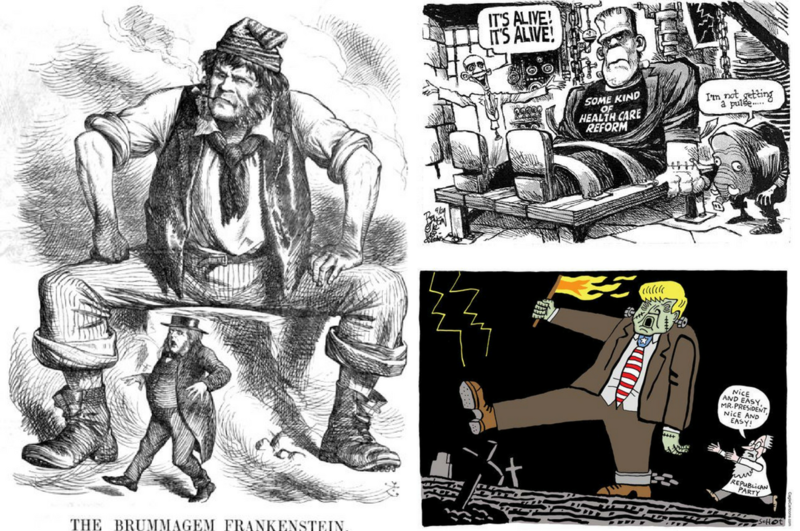 Even further, the image of “Frankenstein” has been appropriated to express nearly every political issue under the sun, from Irish-English relations to anti-abolitionist politics to stem cell research to health care reform to genetically modified “Frankenfoods”… the list could go on and on; just Google “Frankenstein political cartoon” and prepare yourself for whiplash. Above all else, however, Frankenstein is a story about Otherness, and just like any other story about Otherness, critical reception vacillates wildly between support for and condemnation of the Other. 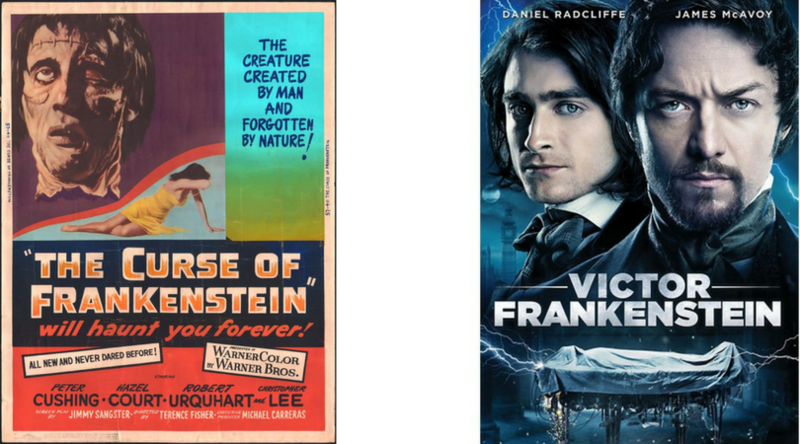 Whether Victor Frankenstein is an egoistic mad scientist or a misunderstood genius, whether “Frankenstein” is a violent monster or a sympathetic soul thrown mercilessly into the world with no aid or compassion, they both reflect the things we’re worried about at the time at which we meet them. 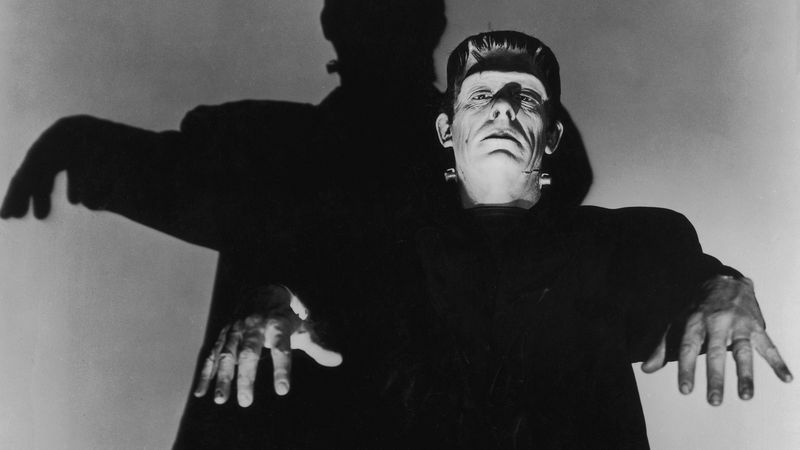 Whether “Frankenstein” is the monster or Frankenstein is the monster, each version teaches us something about the way we see the margins of society, what we consider “monstrous” and what we deem worthy of our own empathy. There is something delightfully reiterative about “Frankenstein,” about the way every adaptation of him simultaneously cites each one that came before and also recreates him entirely. Something is poetically appropriate about the way our interpretation of a character who is made up of disparate pieces has, in essence, become made up of the pieces of every other version of himself. After 200 years, Frankenstein is so many things: each fascinating, each valid, and each worth a hundred essays on its own. As a text and as a cultural phenomenon, it is the gift that keeps on giving, the book that is never at all the same from one encounter to the next. And it will always be something I can return to as a measure for just how much society has changed, and just how much I have changed, too. Cheers to 200 years, Frankenstein, and here’s to 200 more.